If you're looking forward to the next Terminator game, get in line – literally. 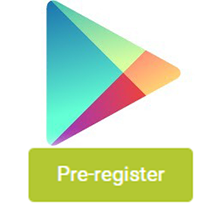 The Play Store now allows customers to Pre-register for certain apps and games. 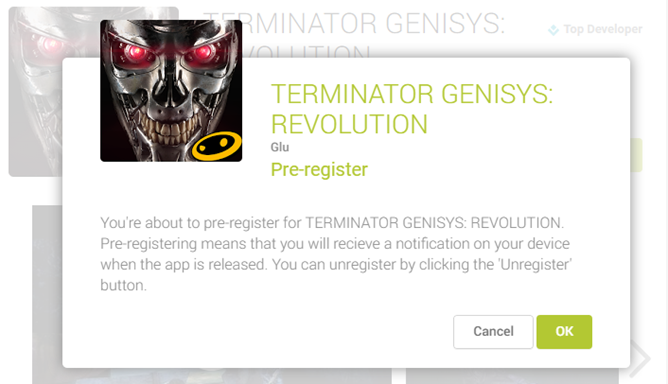 The first title to receive this honor is Terminator Genisys: Revolution by Glu Mobile. 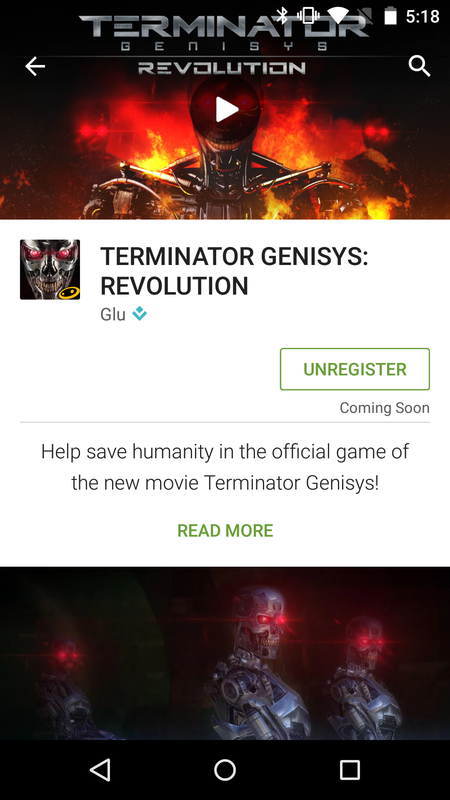 No price or release date is listed on the app page, but the game will probably become available around the same time as the movie, which hits theaters on July 1st. 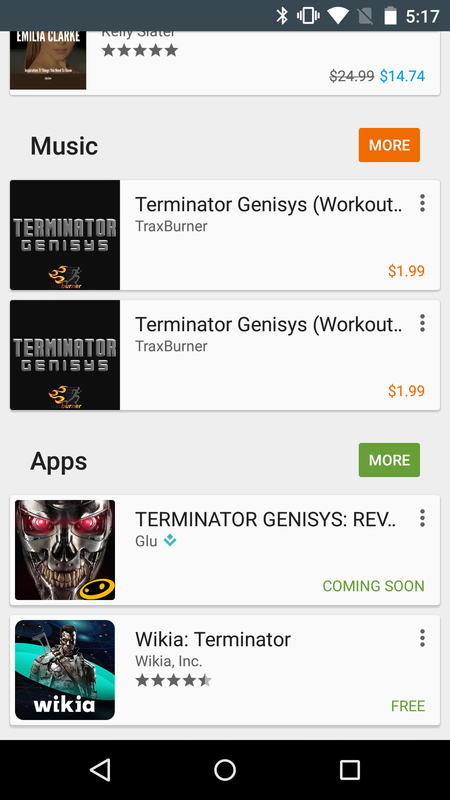 First seen in a teardown of the Play Store, Google is now allowing select publishers to put their apps and games for "pre-registration" before they are ready for sale. These titles have a Pre-register button where the Buy / Install button would normally live. Putting your name on the list does not cost anything, nor is it an agreement to buy. 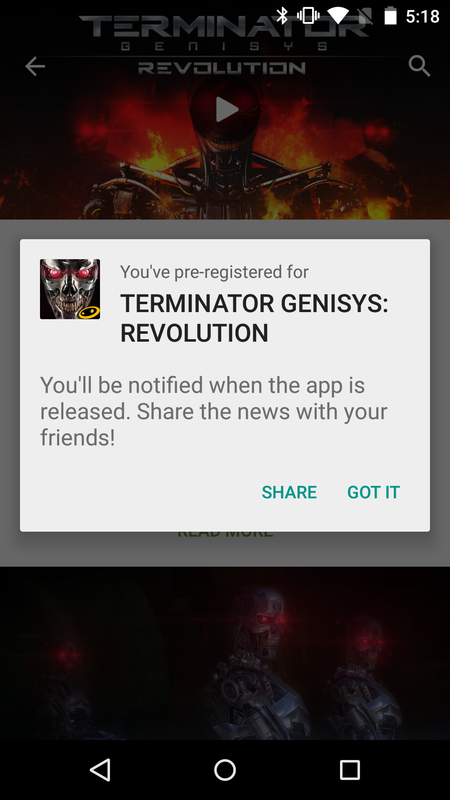 Pre-registration is simply designed to give users a notification when the app is finally released, at which time it can be purchased and installed to compatible devices. If you change your mind about receiving a heads-up, there's a one-tap Unregister button to remove yourself from the list. 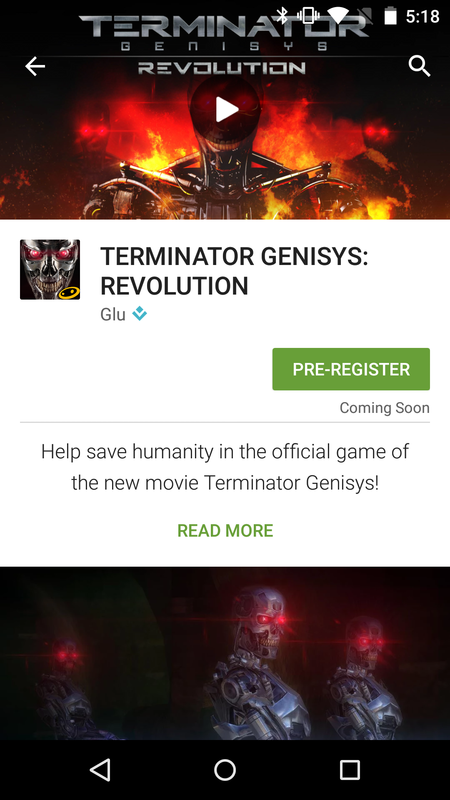 Pre-registration will surely become a big part of promotions for highly anticipated games, particularly movie tie-ins like Terminator. This should also put an end to the practice of publishing app listings with zero compatible devices.